Knockelly Castle was built by the Butlers in 15th century. There is an account in the Ormonde records of the killing of Pierce Butler of Knockelly in 1502 [Heffernan, 1958]. The castle was later "sub-infeuded" (gain possession of an estate in fee) to the Everards. Barton let Knockelly to James Kickham. He was the first Kickham there. It was occupied by James Kickham temp 1798. 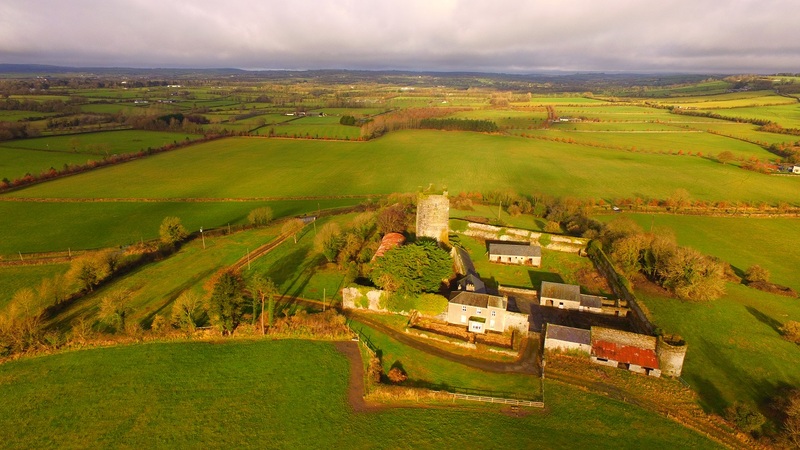 "The Kickhams never became large-scale territorial landlords, though in time some of them acquired the tenancy of gentlemen's holdings such as Knockelly Castle" [Comerford, 1979]. It was occupied by Thomas Kickham as at 1838-39. Occupied by Edmond Heffernan as at 1889. Inherited by John Heffernan 1903. There survives a ruined late-Elizabethan or early-Jacobean towerhouse, surrounded by a well-preserved bawn (walled enclosure). 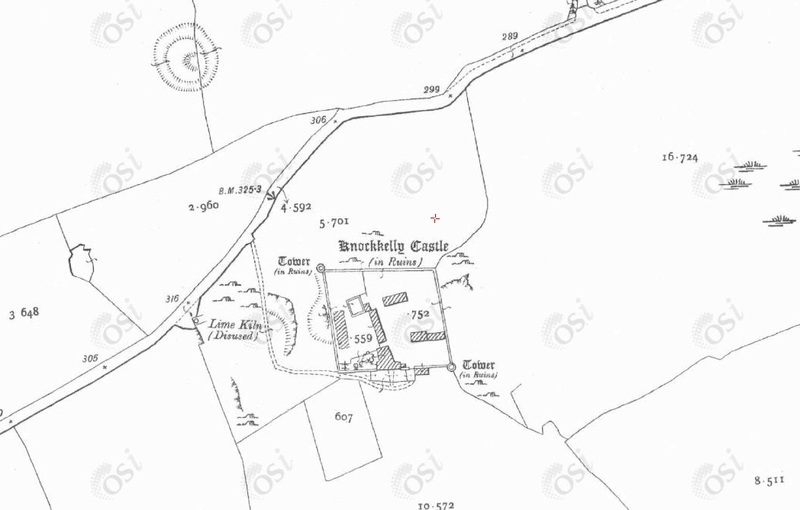 Knockelly Castle on 1887 to 1913 map. Video of fox hunt at Fethard, Co.Tipperary, Jan 2017. From above drone footage. Courtesy of David Moloney.